Lingering snow fills pockets of the rolling Laughraun Lava Field that last erupted around 1477. 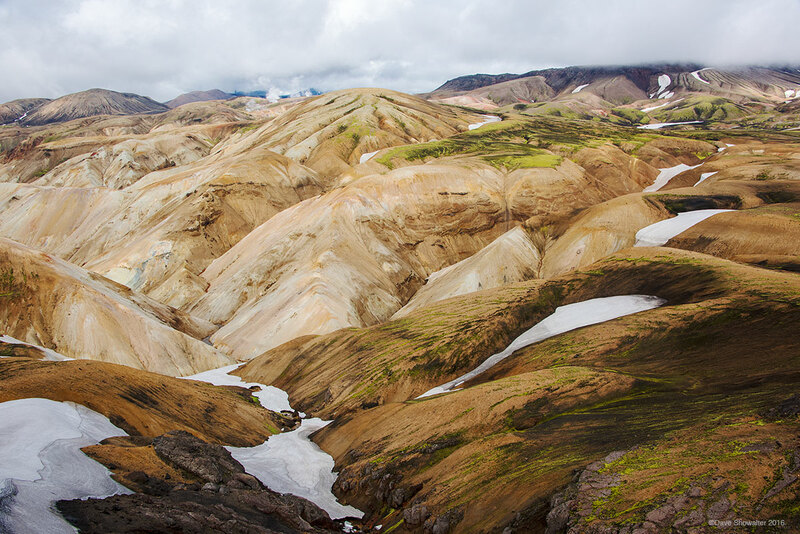 This particular scene was the initial attraction to visit Iceland and trek Laugevegur, Iceland's most famous trek and a beautiful study in contrasts. Photo © copyright by Dave Showalter.